MiataRoadster shifter tip bushings MAZDA - MiataRoadster - Stay tuned with MiataRoadster! Are you having problems shifting your Miata? 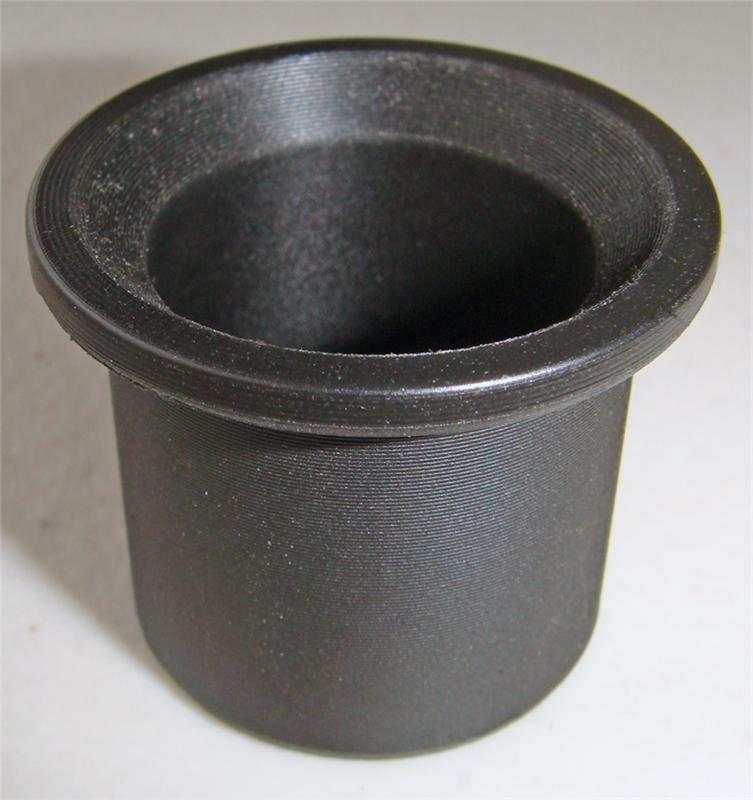 The factory shifter tip bushing is made of injection-molded plastic. After years of immersion in the gear oil in the shifter turret, it inevitably becomes brittle and cracks, undermining the function of the shifting system. See secondary image showing a typical disintegrated factory bushing. MiataRoadster CNC-ed Delrin shifter tip bushings are impervious to breaking down due to petroleum and the heat of the transmission. They are superior to the Aluminum, Brass, or Bronze bushings also available on the market because, unlike a harsh metal-on-metal contact, Delrin absorbs vibration and blocks heat transfer through the shifter shaft and knob to your hand. Note: Instead of snapping onto the tip of the shifter like the factory bushing, the MiataRoadster bushing’s unique “top hat” design has a flange around the top edge. When installing, simply place the bushing on the tip of your finger, slip it into the bore in the actuator block in the turret, then lower the shifter into the ID of the bushing.